DIVORCE IS HARD, BUT IT CAN BE DONE RIGHT. Telling A Client What They Want To Hear May Help You. Telling A Client The Truth Will Help Them. Truth in divorce can be difficult for clients to hear and for attorneys to tell. However, it is critical that you learn your legal rights, understand all of your options, and evaluate possible outcomes. 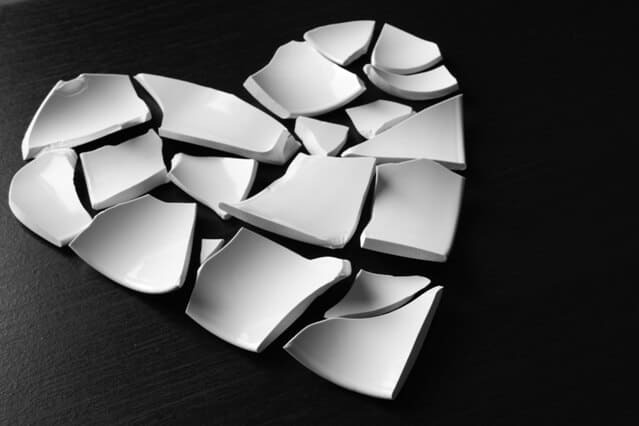 We recognize that divorce touches upon all of the things that you love and value the most. Our team is rated as best divorce lawyers in NYC and will treat everyone and everything that matters to you with great care and responsibility. If Divorce Changes Who You Are, Everyone Loses And Divorce Wins. Divorce is an emotional rollercoaster that has the power to mess with your sense of who you are and where you want to go. If you allow the divorce process to change who you are, what you believe in, how you see yourself and others, and to lose focus of what really matters in life, you already lost. Everyone you care about lost. Divorce won. Our job is to make sure that divorce does not win. 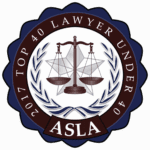 Attorney Val Kleyman is recognized as one of the “top divorce attorneys in New York“, “10 best lawyers” and “Super Lawyers – Rising Stars“. 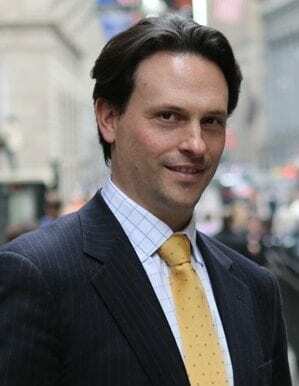 He has been a NYC divorce lawyer since the inception of his career. When you are searching for a one of the best divorce lawyers NYC, you have found the right firm. Our NYC family lawyers and divorce attorneys place client satisfaction at the top of our priority list. 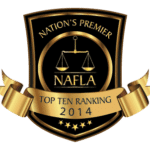 This is why we have been recognized by NY divorce lawyer rating organizations as “10 Best Family Lawyers In NY” for client satisfaction. 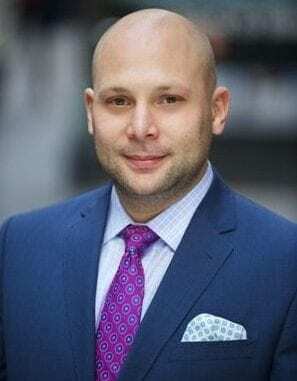 Mr. Kleyman is the right choice for your divorce lawyer NY. When alternatives fail, the only way to preserve and protect your rights is through litigation in court. The key to wining in court is being prepared and being able to predict the outcome. Our recognized top NYC divorce lawyers and family law litigation legal team will build your case and aggressively represent your position. It’s not enough to just search for “divorce lawyers near me” on Google, you need to research your divorce lawyers NYC well. Undoubtedly, you need a divorce lawyer in NY to help you with your divorce. Our legal team is highly rated by our peers in the matrimonial and family law field in New York. 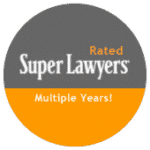 Val Kleyman was selected as one of the “Top Divorce Attorneys” in NY by Super Lawyers and “best divorce lawyer NYC” by National Advocates. A prenuptial agreement or a postnuptial agreement is a contract between spouses that allows the parties to limit exposure to courts and litigation drafted by NYC prenuptial agreement lawyers. Prenups and postnups also lower the amount of financial and emotional risk associated with divorce. Divorce lawyers in NY recommend that couples decide to draft marital agreements to better predict and decide many financial and family issues in the event that a divorce takes place. Absent a marital agreement, the decisions about couple’s assets will be dictated by state laws and precedent cases that don’t necessarily serve the couple’s best interests. Having experienced NYC prenuptial agreement lawyers help you negotiate a prenup or postnup agreement can serve to protect the your rights and assets from uncertainty of potential legal proceedings. NY divorce lawyers will help you choose the best options to protect your rights. Our NYC prenuptial agreement lawyers have significant experience in putting together and negotiation of prenups and other marital contracts. Our New York divorce lawyers are ready to help. Val Kleyman and other prenuptial agreement lawyers in our firm have vast experience drafting prenup and postnup agreements that are customized for each client. More importantly, our New York divorce attorneys are constantly closely following the developments in the law concerning marital contracts to make sure that our prenups and postnups are enforceable and will be upheld by the courts. Prenups and marital agreements are not one size fits all and have to be carefully crafted to reflect the desires of each individual couple. 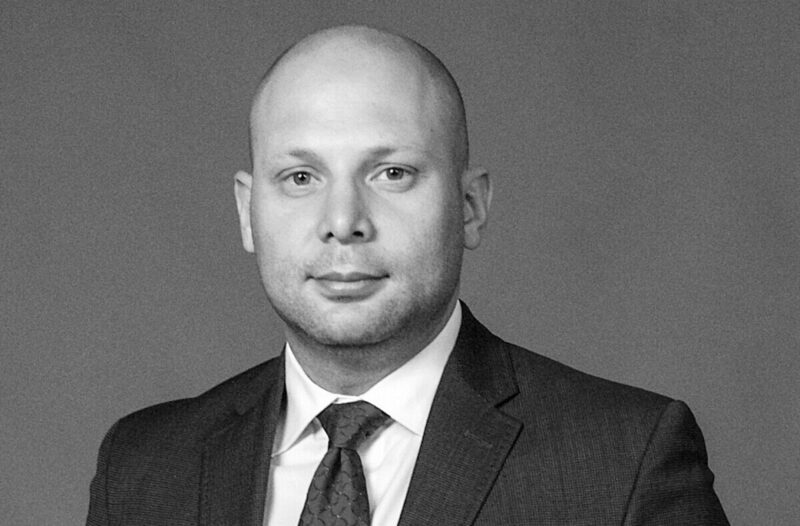 Mr. Kleyman is the right choice not only as a divorce lawyer NYC but also for your marital agreement. It’s important to protect yourself and your assets, future and present, from the uncertainties of divorce. 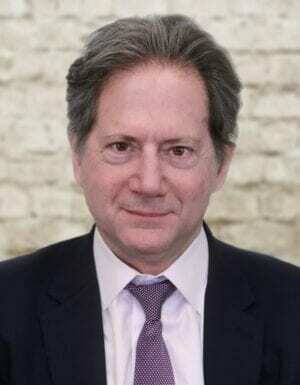 This is why our Manhattan divorce lawyers, Brooklyn divorce lawyers and Staten Island divorce lawyers and prenuptial agreement lawyers take allot of time and exercise great care to tailor each prenup agreement to our client’s unique circumstances. NY divorce lawyers in our firm will help you with premarital counseling and will put you on the right track to open the dialogue with your spouse about a prenup agreement. When you meet with our prenuptial agreement lawyers, you will feel confident and comfortable about your future and your decision to seek premarital legal counseling. Divorce and family related matters are not created equal. There are many ways to approach a divorce process or a dispute in family court. Having and experienced attorney that knows how to choose the right strategy for a particular situation is the key to success. The best divorce lawyers in NYC will work with you to formulate the best approach that fits your needs and the needs of your family while preserving your rights. A good divorce lawyer in NY will always start by explaining the option of mediating your case. It is natural for most spouses to put on boxing gloves and approach a divorce or separation as a fight. Considering the emotional aspect involved in experiencing marriage problems or going through a divorce, spouses often see each other as adversaries. Best divorce lawyers in NYC know that stepping away from the drama and mud slinging and examining the underlying issues and potential resolutions can not only help resolve those issues quickly, but will cost a fraction of the cost of prolonged and drawn out litigation. Our NYC divorce attorneys are trained to handle both voluntary mediations (pre-suit divorce mediations) and court-mandated mediations (contested divorce mediations). Our role as NYC divorce lawyers is to help clients take full advantage of this opportunity to resolve disputes, map out the future and avoid litigation. More than half of our mediation cases are couples who want to resolve their divorce amicably without hiring attorneys. Our NYC divorce attorneys keep the discussion focused and guide you through even the most sticky conflicts. In contested divorce or custody cases, the family court typically orders the parties to try mediating before proceeding to litigation. Our family lawyers and divorce lawyers in NY help clients make the most of mandatory mediation, often achieving an out-of-court settlement to the surprise of two people who expected a nasty courtroom fight. NY divorce lawyer can be of great assistance in mediation. It’s a good idea to consider having a divorce lawyer NYC mediate your divorce. Divorce lawyer NY are able to guide their clients towards a successful resolution without the stress and expense of litigation in court. Divorce lawyers nyc will help you identify your goals and choose a proper settlement position. If you are looking for Manhattan divorce lawyers, Brooklyn divorce lawyers, or legal representation in any of the NYC boroughs, you found the right firm. We have offices conveniently located in downtown Manhattan and Brooklyn where you can meet our Manhattan divorce attorneys and Brooklyn divorce attorneys. We also handle cases in all NYC courts including Queens, Bronx, Nassau, Suffolk and Westchester. Our divorce lawyers NY are recognized as some of the top Manhattan and Brooklyn divorce lawyers. When you are searching for a “divorce lawyers NYC” and choosing among many Manhattan divorce lawyers, Brooklyn divorce lawyers, Staten Island divorce lawyers or other NYC family lawyers, you want to choose the attorneys that have knowledge and practice in the court where your divorce will take place. We have in depth experience in supreme and family courts in all of New York City boroughs. 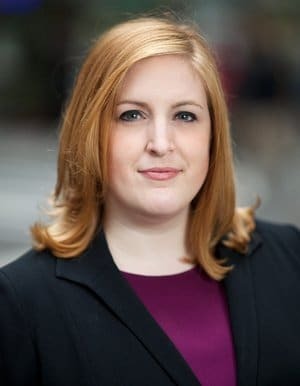 Our firm is highly recognized among Manhattan divorce lawyers, Brooklyn divorce lawyers, Staten Island divorce lawyers and NYC family lawyers for our court abilities and litigation skills. We have a great reputation with our fellow practitioners and are held in high regard for our work ethic and commitment. Choosing a NY divorce lawyer is a very important decision. Our Manhattan divorce lawyers, Brooklyn divorce lawyers, Staten Island divorce lawyers and NYC family lawyers continuously support the local New York communities by offering free consultations and affordable representation to families that have difficult financial situations. Look for us by typing “divorce lawyer NYC” in your search. There are several ways to approach a divorce or a family law problem. Our NYC divorce lawyers and family attorneys, don’t push you into one direction or another. We are the Manhattan divorce lawyers that work with you to choose the best approach that is tailored to your specific needs. Having a New York divorce attorneys by your side that understand your unique circumstances and work together with you to build case strategy is critical in every case. The right strategy in divorce and family law cases is often 99% of success! Locate us by searching “divorce lawyer NYC” or “divorce lawyers NYC”. We will contact your spouse, their divorce lawyer, or the other side and will attempt to resolve all outstanding issues through an amicable negotiation. Our job is to suggest all possible resolutions and options on each issue to help both sides reach an agreement without further legal process. Litigation can be very stressful, time consuming and expansive. Mediation is in many ways just the opposite. It is quicker and less costly, it reduces animosity, and it gives you control over the important issues and the details of your divorce. Our trained and experienced NYC divorce lawyers and family attorneys can help you explore pre-suit mediation as a less adversarial and less expensive method of separation and divorce. When alternatives fail, the only way to preserve and protect your rights is through litigation in court by hiring NY divorce lawyers. The key to wining in court is being prepared and being able to predict the outcome. Our divorce lawyers NY team will build your case and aggressively represent your position. While you can simply search for a divorce lawyer by looking up “divorce lawyers near me” online, you have to also confirm the lawyer’s reputation in the legal community. Our NYC divorce attorneys handle the most difficult and complex divorce and family law matters such as cases involving complex division of property and assets, child custody disputes, contested alimony and child support, and division of pension plans and retirement funds. We will thoroughly prepare your case and will go to trial, if necessary, to protect your rights. The best divorce lawyers in NYC will utilize a team of legal and investigation experts to build your case in order to maximize your chances of success. A NY divorce lawyer will help you choose the best strategy for your case. When you are facing a judge in supreme or family court, you need an attorney by your side that not only knows how to prepare documents, but also knows how to present your best case in court through a convincing oral argument. Searching online and typing “divorce lawyers near me” will not help you find someone who is well trained and experienced for contested court cases.Our highly trained NYC divorce attorneys and family lawyers are well known in the matrimonial parts of the supreme courts and family courts of New York for their strong presence and oral advocacy. Our divorce lawyers NY, Manhattan divorce lawyers, Brooklyn divorce lawyers and Staten Island divorce lawyers include highly trained attorneys. Unlike hiring solo divorce attorneys our firm offers you an entire team of professionals to work on your case with resources and experience necessary to deliver successful outcomes. Meet and gain confidence in our divorce lawyers in NY. Divorce and family related matters are not created equal. There are many ways to approach a divorce process or a dispute in family court. Having and experienced NYC divorce lawyer that knows how to choose the right strategy for a particular situation is the key to success. The best divorce lawyers in NYC will work with you to formulate the best approach that fits your needs and the needs of your family while preserving your rights. You cannot legally finalize your divorce until you have fully settled all the outstanding issues between you and your spouse, including the division of assets and debts, spousal support and the care of your children. If the two of you are unable to resolve these matters out of court, you will have a contested divorce and the judge will be called upon to rule for you. To protect your rights and interests, you will need an experienced contested divorce lawyers in NYC to handle your case. 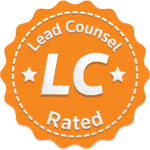 It’s ok to just search online for “divorce lawyers near me”, but a personal referral works much better.The competency and trial abilities of your New York divorce lawyers will make all the difference in achieving the most favorable outcome in court. 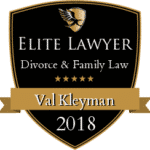 Val Kleyman is your divorce lawyer NYC.Our divorce lawyers in NY have a strong reputation in New York Supreme and Family courts. There is a time to be “The Bear” and time to be “The Bull” in divorce. Best contested divorce lawyers in NYC know how to pick the right stance at the right time. Our divorce and family law attorneys in NY will help you choose the right strategy. 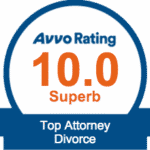 We don’t just call ourselves “best divorce lawyers”, we let our legal work do the talking. 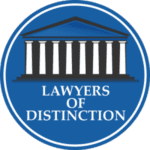 When the circumstances in a given case call for a tough litigation stance, your contested divorce lawyers in NYC need to have the skills and experience to fight in court in order to protect your rights. NY divorce lawyers will know how to help you and protect your rights. You can rely on Mr. Kleyman as a divorce lawyer NY and his team as divorce lawyers NY to protect you. We will contact your spouse, their divorce lawyer, or the other side and will attempt to resolve all outstanding issues through an amicable negotiation. Our job is to suggest all possible resolutions and options on each issue to help both sides reach an agreement without further legal process. As your divorce lawyer in NYC, we will work hard to resolve all of your legal issues. You must select a divorce lawyer in NYC who knows how to approach high net worth cases.Individuals with high net worth often present a unique situation that requires in depth knowledge, skill and understanding from their New York divorce lawyers. Substantial personal and business assets are often involved with extensive categories of expenses that may include luxury primary residence, second and third homes, businesses with their own assets, investment portfolios, pension plans, private schools, nannies and an affluent lifestyle that must be properly addressed. A reliable divorce lawyer in NY will hep you with this complicated legal process. When you are looking for the best divorce lawyers in NYC to handle a high net worth divorce case, you want to choose those matrimonial attorneys that have the required training and experience dealing with these types of cases. We are a team of New York divorce lawyers with proven experience in resolution and litigation of high net worth divorce matters. NY divorce lawyers will contact your spouse, their lawyer, or the other side and will attempt to resolve all outstanding issues through an amicable negotiation. Our job is to suggest all possible resolutions and options on each issue to help both sides reach an agreement without further legal process. As your divorce lawyer in NYC, we will make sure we try all amicable approaches before involving you in costly litigation. Handling a high net worth divorce case requires having access to many other professionals that will help to deal with various assets and build a solid case. This is why you should chose a divorce lawyer in NY with resources. The best divorce lawyers in NYC will have the requisite financial background necessary to properly address all elements of property division and financial obligations and will also have access to a team of forensic accountants, appraisers and investigators. 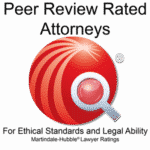 It’s critical for a divorce lawyer NY to have access to these important resources. You will benefit from having proper legal representation from a divorce lawyer in NYC who has access to many resources.